Barnsley & District Volvo B6 city bus M512TRA, fleetnumber 170. Built in 1/1995 for Nottingham fleetnumber 512. 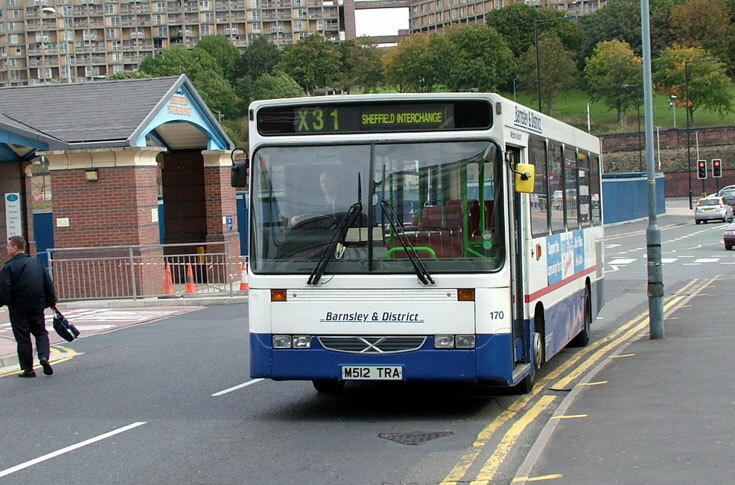 Seen here in service on line X31 Sheffield Interchange (England). Photo courtesy of and © Andy Dyer.